By now everyone knows who Sarah Jeong is, the unashamed racist hired as an editor by The New York Fake NewsTimes. 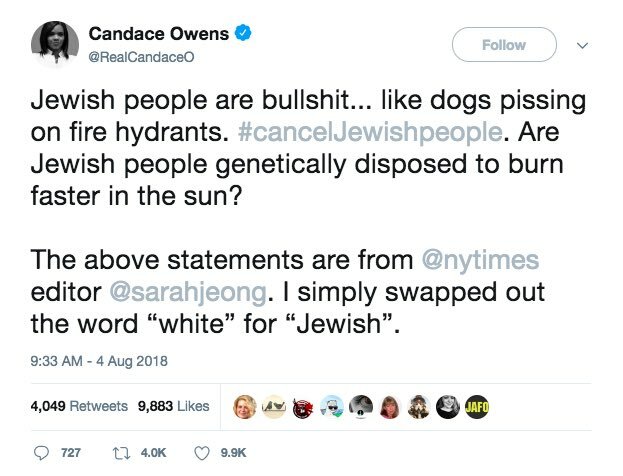 Jeong hates white people and has admitted as much all over social media on many occasions. Yet, she was hired by the Fake News Times, which either didn’t check to see if she came with any embarrassing baggage, which would have been horrible if they neglected that, or they didn’t care that she is a racist, which likely means the powers that be at NYT actually agree with her racist views. Twitter immediately suspended Owens’ account. Jeong’s over-the-top racist tweets did not earn her a suspension. After twelve hours, the social media backlash aimed at Twitter convinced the powers that be at the social media cesspool to restore Owens’ account. In an interview with DCNF, Owens reported, “The thing is, I wouldn’t have minded if I was locked out, because I actually agree with Twitter that that language is inappropriate,” Owens said. 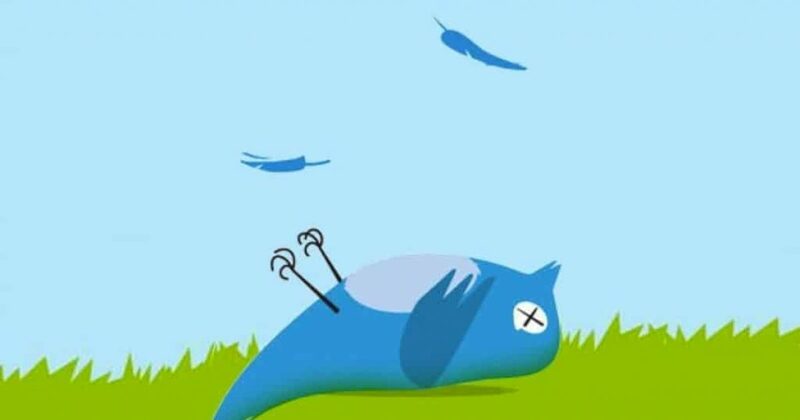 Many conservatives have been shadow-banned (made invisible) by Twitter, including yours truly, as evidenced by the near-total lack of engagement my tweets receive on. My most recent post has one ‘like’ after seven hours. No comments, no retweets. Wow! Someone actually saw one of my tweets…. And so on. These are typical of my tweets. ALL of my tweets get zero or nearly zero engagement, as do my comments to other tweets.